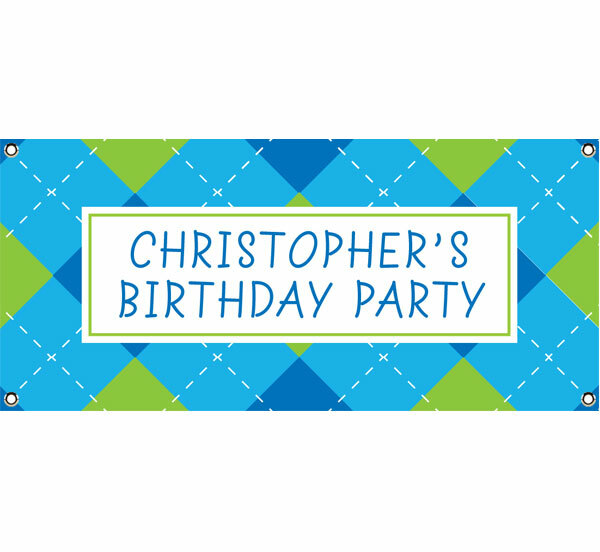 Birthday party banners. 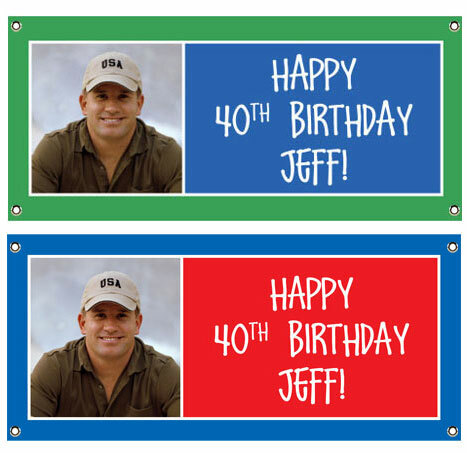 Weatherproof birthday party welcome signs. 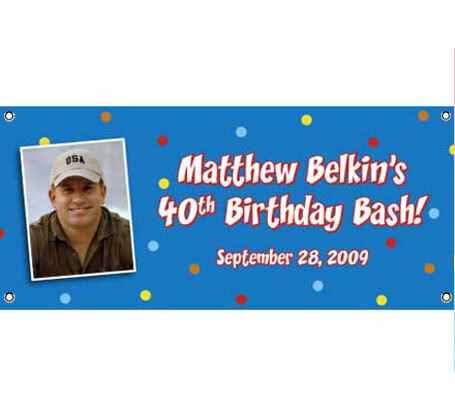 These weatherproof vinyl banners are all about the guest of honor. 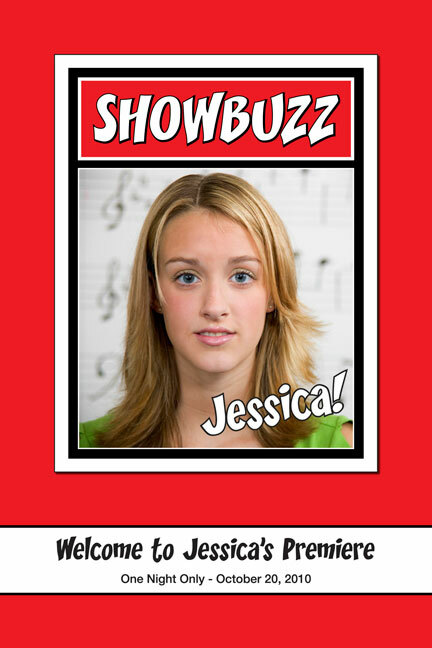 Put their name and picture up where everyone can see it! 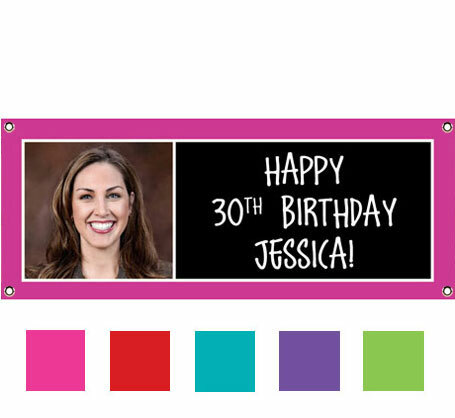 A fun birthday party banner to celebrate that fabulous birthday girl! 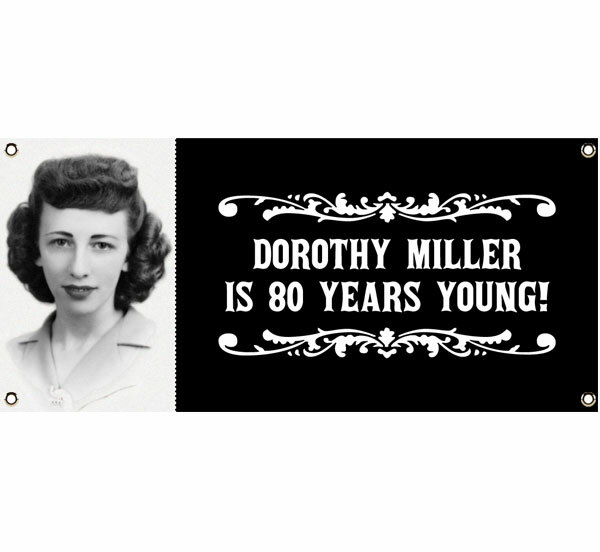 Welcome everyone to a milestone celebration! 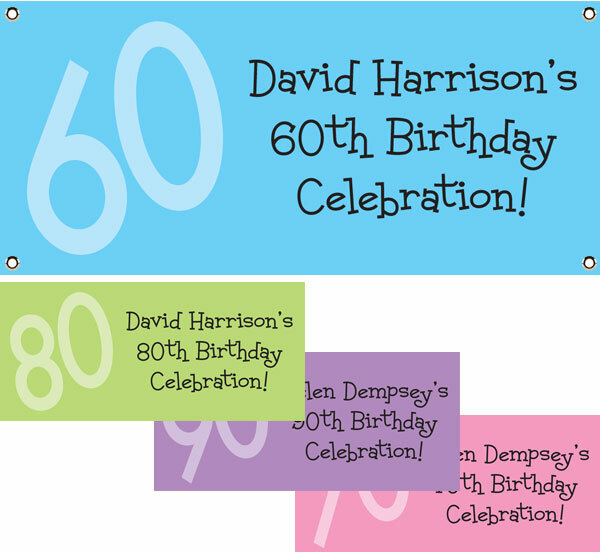 Picture the birthday boy on his very own birthday banner! They're still a babe. 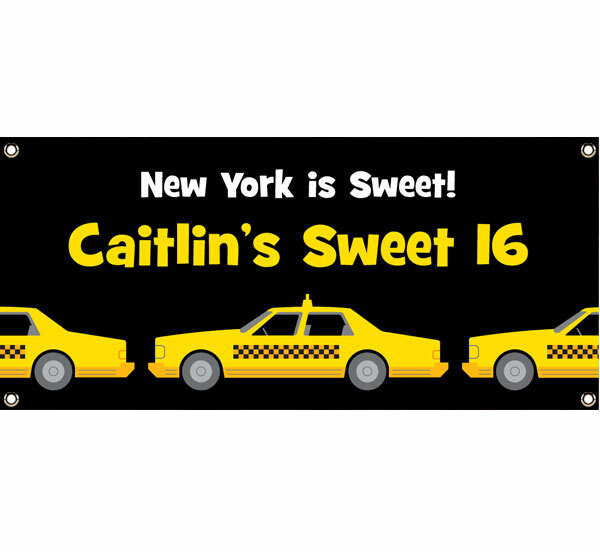 Let the world know with this birthday banner! 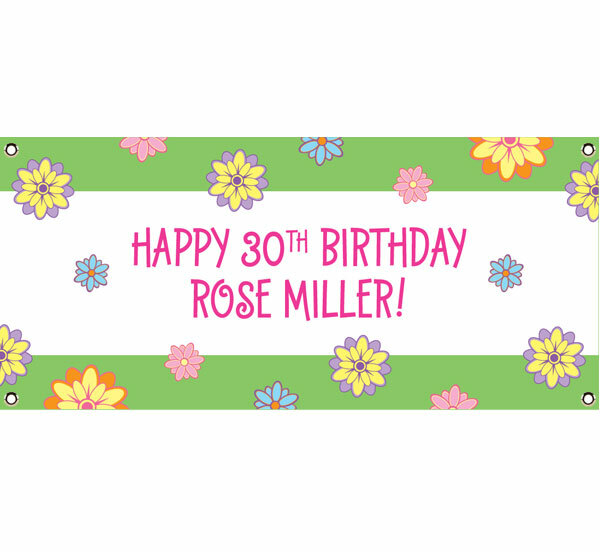 A colorful banner for one of most popular parties! 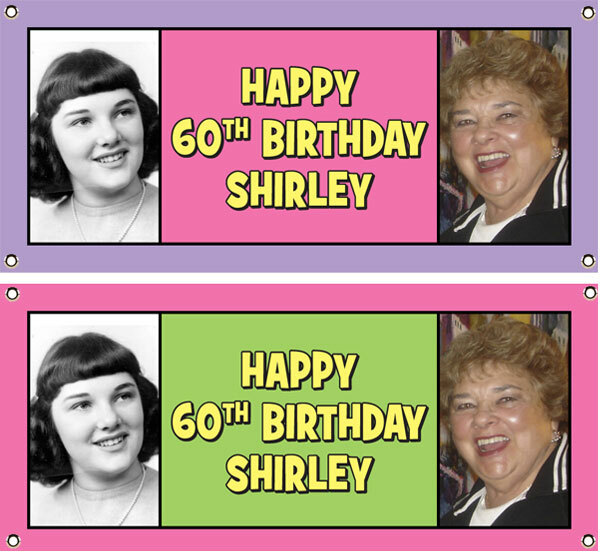 Two pictures for the price of one on this birthday banner! 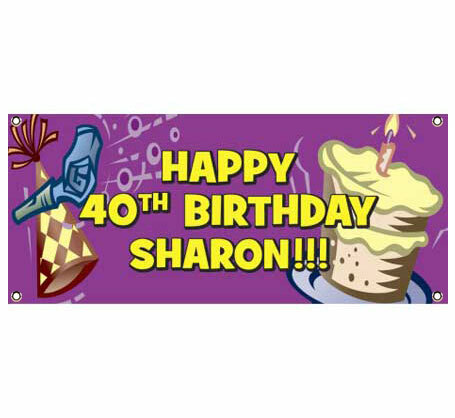 Show 2 pictures on this fun birthday party banner! 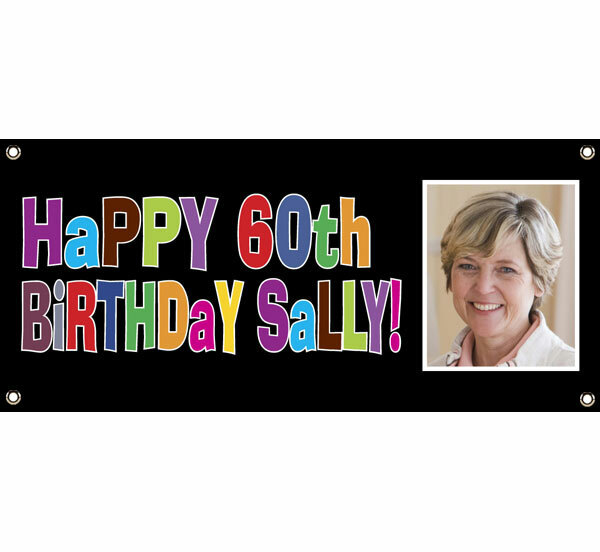 A festive birthday banner for a festive birthday party! 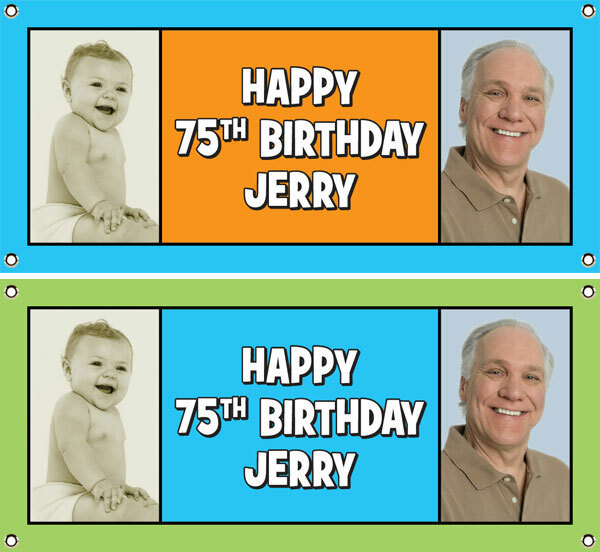 Your picture and your age. 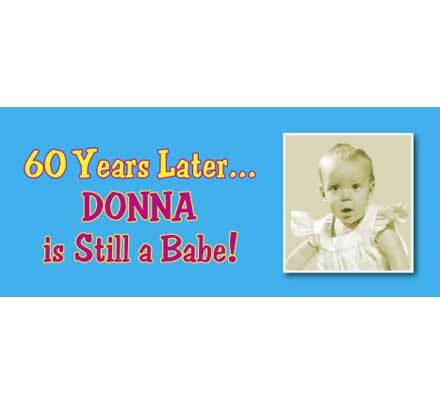 Go ahead, tell the world with this birthday banner! 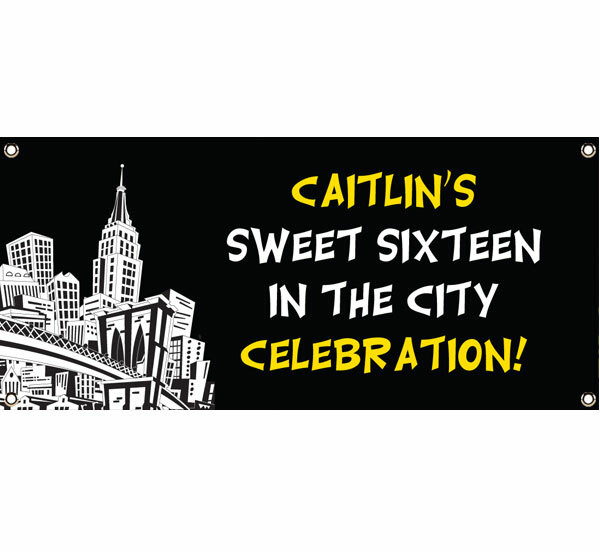 Like a fine wine, this banner shows your party quite gracefully. Welcome them to the mystery! Welcome them to the crime scene! 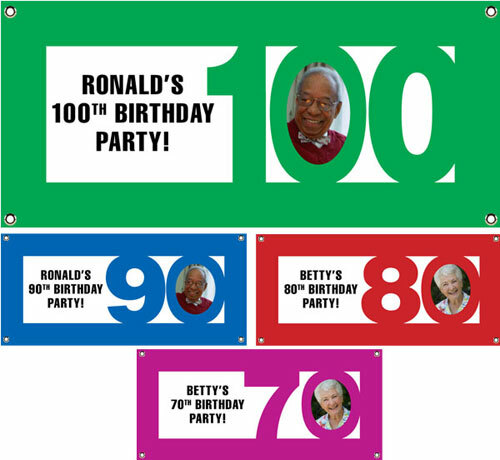 A stylish banner entrance to a party. 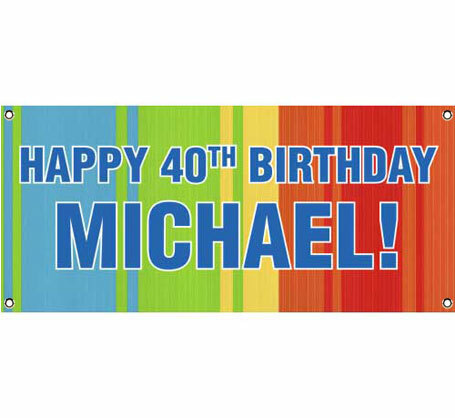 Picture the birthday boy on his very own banner! 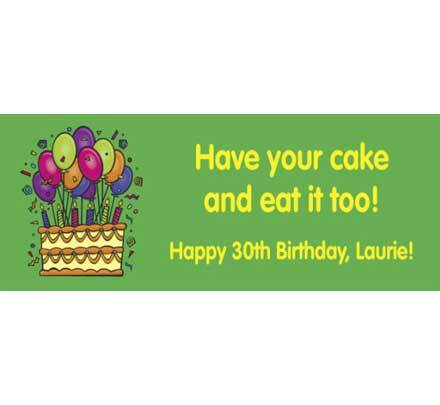 Celebrate with a banner sized cake! Welcome everyone to get on the party bus! 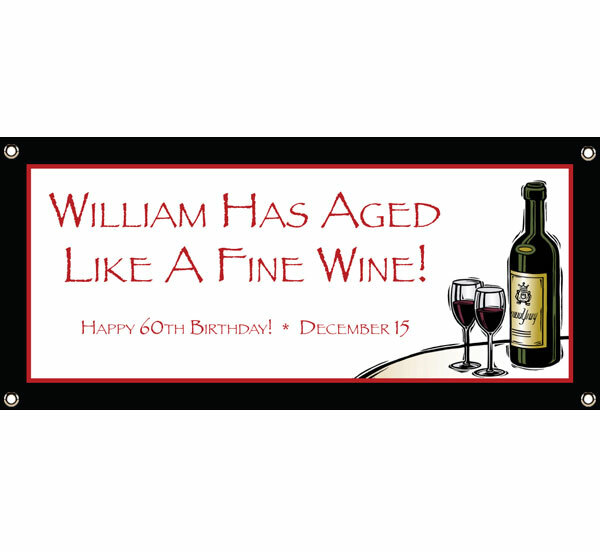 Your license to welcome your guests!